Limited spots available for the 2018-2019 school year. 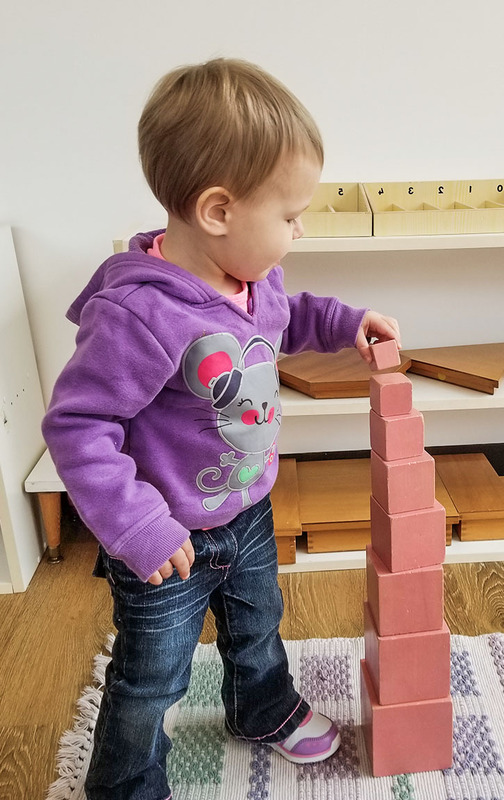 We are a small Montessori school with a nurturing environment where children develop intellectually, socially and culturally through individual attention, enriching play and structured learning experiences. We believe that learning can and should be fun. Evergreen Montessori House’s educational goals focus on the individual needs of the remarkable children we instruct. The learning methods are both structured and flexible in order to nurture the developmental needs of each child in our program. Parent feedback indicates that our methods work. EMH is located in Dracut, Massachusetts, and we serve the local communities in Massachusetts and New Hampshire, including Lowell, Chelmsford, Pelham, Tyngsboro and Nashua. Of the licensed preschools locally, Evergreen Montessori House is the only one with an Association Montessori Internationale (AMI) Certified Director and founder. I am very pleased and impressed with the care and attention my son receives. He is advanced for his age and is allowed to work at a challenging level. In this school each child is an individual. Copyright © 2019 Evergreen Montessori House. All rights reserved.